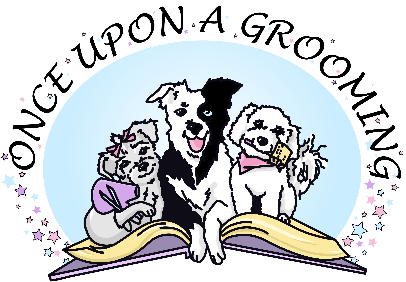 At Once Upon A Grooming we attempt to create the best quality experience for each and every pet we groom. In order to do this we ask that each client read our guidelines as follows. Business Hours: General business hours are Monday-Saturday 8:00 am to the last appointment of the day. This means that we may schedule appointments at anytime and we are flexible to work with your schedule where we can. However, due to our flexible scheduling please call to schedule appointments to guarantee we can be here to service you. Please do not expect us to be here without calling us to check first. We do leave messages to announce closures and please feel free to leave a voice mail, we usually return calls promptly. Cancellation and Reschedule of Appointments: We understand that life happens and you may need to cancel or reschedule your appointment. Please do your very best to give us a 24 hour notice so we may fill the appointment slot. Immediate Pick Up Policy: Due to the nature of our business, we ask that your pet be picked up within an hour of us notifying you that they are finished. This allows for a more pleasant grooming experience for your pet and allows us to stay on a one on one basis with your pet and others.